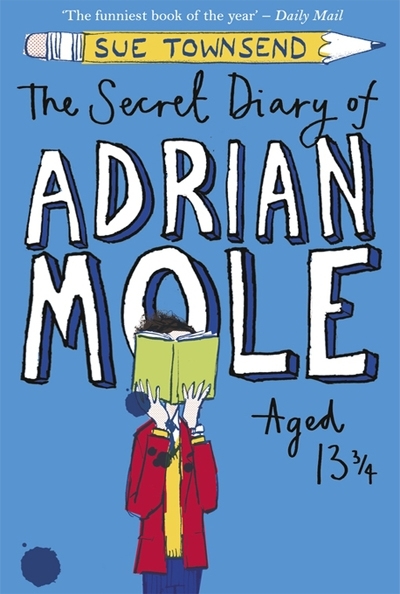 Synopsis: At thirteen years old, Adrian Mole has more than his fair share of problems - spots, ill-health, parents threatening to divorce, rejection of his poetry and much more - all recorded with brilliant humour in his diary. The Secret Diary Adrian Mole Aged 13 ¾ is a simple but highly effective story of Adrian Mole’s early teenage years. It’s another one of those books that I read aged 11/12 and am now re-reading for review, and I can tell you that it had not lost any of it’s charm or wit. In fact, it has probably increased my understanding of all the irony, and the hilarity of it is sometimes unbelievable. 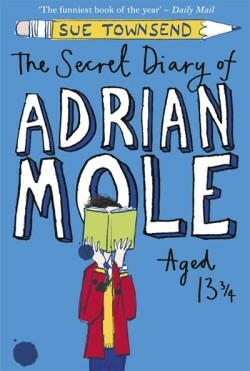 Set in the 1980s, The Secret Diary of Adrian Mole will inevitably contain references to people of the time: Margaret Thatcher, Ronald Reagen, the Falklands War, Lady Diana Spencer and Prince Charles’ wedding etc etc, and while younger readers may have heard of some of the people and events, much of the comedy will pass over their heads, due to lack of knowledge on the 1980s. For older readers, who understand perhaps a tad more, this is no longer a problem. The main source of comedy is from the characters, though. Both Adrian and his parents have hilarious views of each other, and Adrian alone is very amusing, what with his thinking of being an ‘undiscovered intellectual’. Adrian’s quintessentially teenage characteristics also provide a great laugh for older readers, who understand how true it all is! It is a miracle that Sue Townsend, a woman in her mid 40 at the time of writing, could portray a teenage boy so accuratly. All the characters are amusing to read about, and they way Adrian talks about them will have you in fits in no time. While we as readers do find a lot of the book very funny, Sue Townsend has also done a great job at making us sympathetic towards Adrian. Most who have read Adrian Mole is or has been a teenager before, so we all know what Adrian is going through. Even when Adrian’s parents split up, I felt sorry for him. He seems just like a very normal teenage school boy- just like the one down the road. It’s been a lot of hard work writing this review: mainly due to the fact that it is hard to write a review about Adrian Mole. It seems impossible to describe, so I will simply say that even if you did not like the sound of the book, I suggest you read it anyway, as I’m sure you’ll find it an enjoyable, albeit light, read.